Scrapyard. 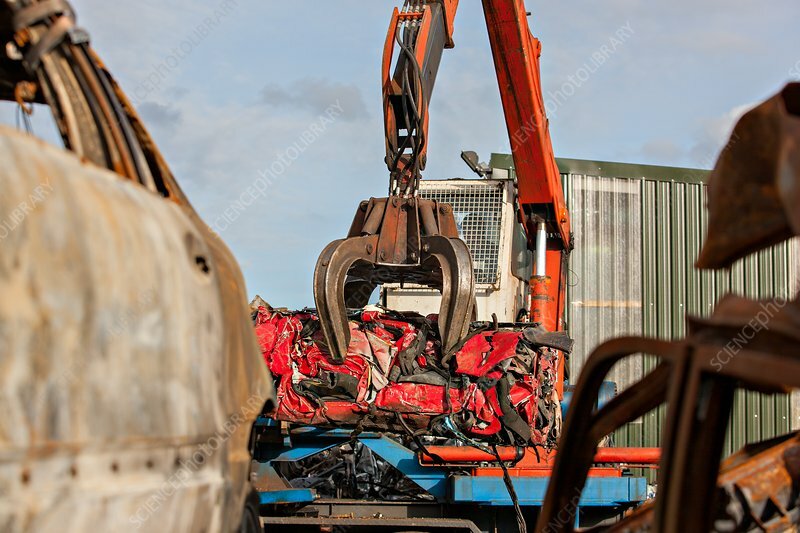 Crushed cars being loaded onto a transporter at a scrapyard for transporting to China for recycling. Photographed in Scotland, UK.